Postcard US-4010006 to Germany shows the F Market & Wharves line, one of several light rail lines in San Francisco, California, that runs as a heritage streetcar service. 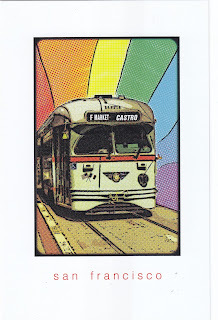 Distinctive from most other lines in the San Francisco Municipal Railway (Muni) system, the F line's operation uses exclusively historic equipment both from San Francisco's retired fleet as well as from cities around the world. 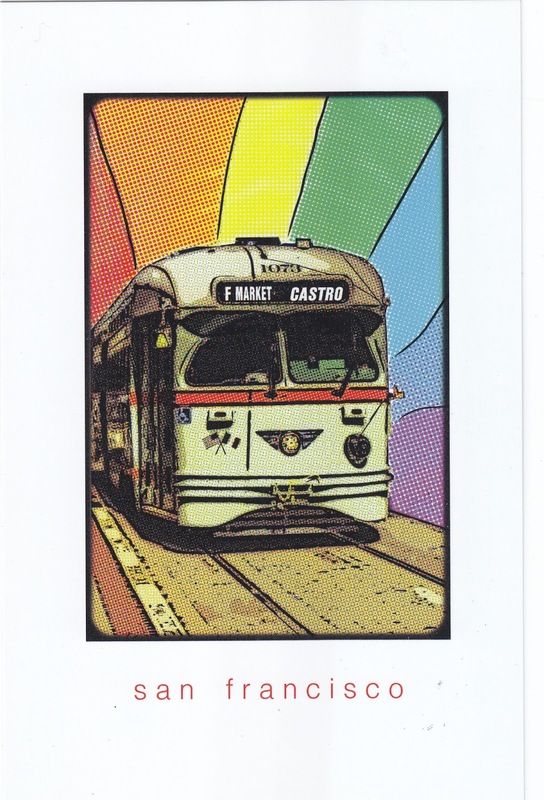 Market Street Railway, a nonprofit organization of streetcar enthusiasts, provides a support role by raising funds and helps to restore vintage streetcars.